In this city, "street style" cannot mean the same as it does in other cities around the world. 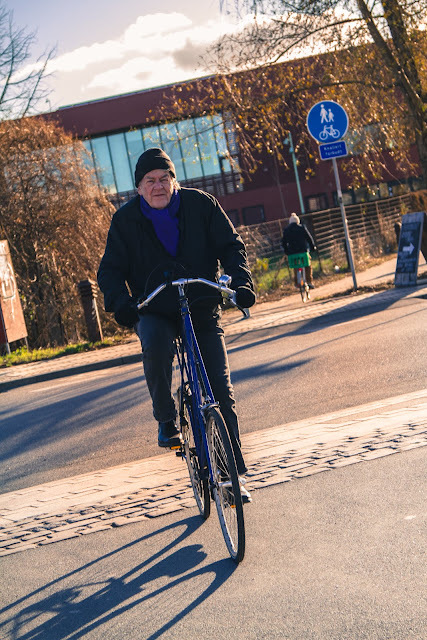 Street style in Copenhagen includes a bicycle, no matter what. That is what makes our job in Cycle Chic really exciting. Any and every style and personality is embraced riding a bicycle. 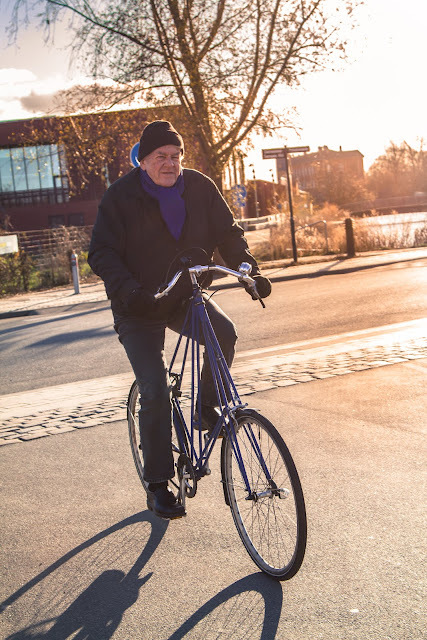 Bicycles are a major asset in the overall composition of your everyday style. This Copenhagen street moment captured through our lens is about a mysterious man in blue. He must have decided to have elegance and simplicity as priorities in his composition. He matched his bicycle with his scarf and the rest was left for black to take over. Black beanie, black, puffy jacket, black gloves... Two accents in his composition made him stand out from the classic Copenhagen Black. 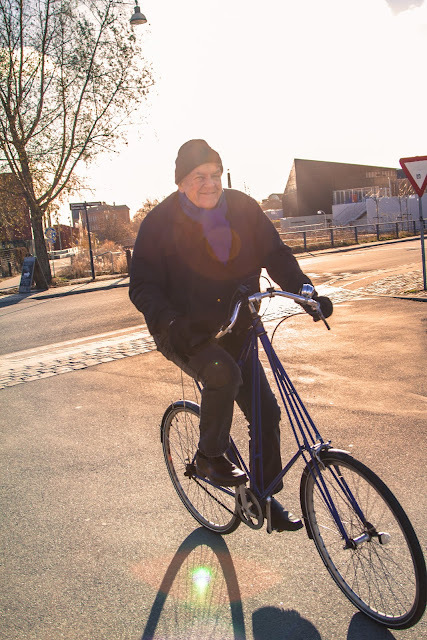 He rode past us on his triangle, vintage bicycle and smiled.